The fundamentals are the same, regardless of the stance you select: Assume a position behind the catcher looking between the catcher and the batter; you must be able to clearly see the pitcher, the entire plate and the batter’s knees. To see all of those elements, it is important to move into “the slot” - that area between the catcher and the batter. The farther you are into the slot, the better you will see the strike zone. 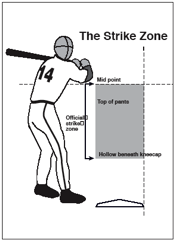 Two additional factors have tremendous impact on your view of the strike zone: head height and stability. Your head should be positioned so the bottom of your chin is even with the top of the catcher’s helmet. If you work with your head lower, your view of the knee-high pitch at or near the outside corner of the plate will be restricted. To determine proper head height, use a dining room or folding chair to simulate a squatting catcher. Pretend the top of the chair back is the top of the catcher’s head. Practice dropping into your stance until it is a crisp, one-motion movement. Working in front of a mirror is a great technique; so is the use of videotape. From the moment the pitcher releases a pitch until the ball arrives in the catcher's glove, your head must remain absolutely stable. 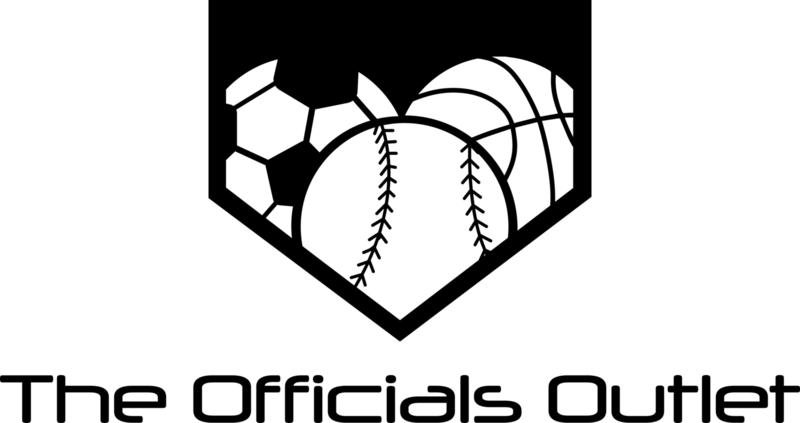 If your head moves at all, your view of the strike zone will be blurred and your judgment will be inconsistent. As you work to apply those fundamentals, consider the following stance information while you refer to the illustrations. Weight evenly distributed on the balls of your feet. Feet directly behind each other one full stride apart. Knee straight, with the ball of the foot on the ground and the heel elevated. When the pitcher delivers, the slot-leg knee is bent at a 90-degree angle; the vast majority of the weight is on the bent leg; keeping your shoulders square to the pitcher, lean forward dramatically into the pitch and established height and stability.